Dark and sweet. The best conclusion to an espresso experience. Dark chocolate sweets or coffee beans covered with the finest chocolate will leave you the best memory of your enjoyment. Thick hot chocolate served with cream will make every moment of your day delightful. 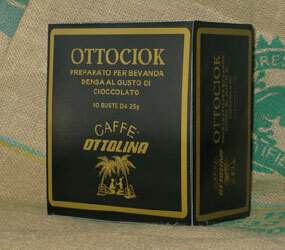 Caffè Ottolina was established by Giulio Ottolina in 1948. He was a refined connoisseur, and he’s the creator of most of the excellent espresso coffee blends that are still available today.